I’d wanted to write and post with Fred e-Zone while on the Acadian bus in the terminal parting lot and road out of Fredchicken but the e-Zone was proving illusive. More problematic is the lack of power in the outlets running down the side of the bus. That will really limit my ability to use this lapdog while busin’ this evening. I’m tired enough to not bother or worry. Rest is good. Tomorrow will be a full day at Bessborough School in Moncton. Looks like it will be five presentations within the seven class periods. Grades 6 to 8 students. No idea how many students to a class, or whether I’ll be presenting to hand-picked groups. I’m to be set-up in the school library. A display of handmade and trade books on one table. My journal, laptop and ol’ portable manual typewriter on another. Me in between the two tables. I’m to talk about how the students can become writers and get published. Talk about Broken Jaw Press. Talk about my own writing and editing and related “cultural personality” activities. Tomorrow my grandmother goes into the hospital for a blood transfusion. Gram, who has never been hospitalized but whose bones are riddled with cancer. Some of them like crystal according to a CAT scan last week. This afternoon, I talked briefly with her over the telephone. Next week Dad gets a CAT scan and a bone marrow extraction. The doctors worried now by his weight loss. He’s down to what he weighed as a teenager. And the meds still aren’t stabilizing his white cell count. Next week my sister Ruth, in Halifax, is off to Smooth Rock Fall, Ontario. My other sister, Carol, in Toronto, flies to San Francisco for an ongoing leadership course she’s taking north of that city. Me? I’m also on the road: to Edmundston, to Sackville and Moncton, to Saint John. Would you believe our father used to own a trucking company in Nova Scotia? In conjunction with The United Nation’s Dialogue Among Civilizations Through Poetry, World Poetry Day, and Mother Language Day. Organized to foster tolerance, respect and cooperation among peoples. Organized by: the Founder of the International Multicultural-Multilingual Poetry Reading, Nela Rio, and with the support of Gallery ConneXion, revue ellipse mag, Broken Jaw Press, Latin American Cultural Centre, Registro de Autores Creativos de la Asociación Canadiense de Hispanistas and the Latino Association of New Brunswick. 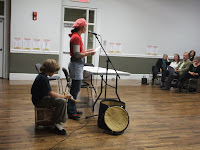 Previous celebrations since 2000, have featured poets and members of the community reading in many languages: English, French, Spanish, Portuguese, Cantonese, Chinese, Japanese Dutch, Danish, Urdu, Turkish, Amharic, among others. We invite you to join us in the 8th celebration! Please include your name, postal address, email address, the text of the poem (use Times New Roman, 12 point). The poem should have 30-lines maximum including stanza breaks (this is for the purpose of printing it on a poster for exhibition at the event). Send this information to nelario@rogers.com BEFORE MARCH 7TH, 2008. Please note: this community event will not be paying artists or performance fee. REGISTRATION FOR READERS (you may choose a poem of your favorite poet to read at this event). Please include your name, postal address, email address, the name and country of the author poet, the text of the poem (use Times New Roman, 12 point). 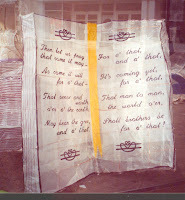 The poem should have 30-lines maximum including stanza breaks (this is for the purpose of printing it on a poster for exhibition at the event). Send this information to nelario@rogers.com BEFORE MARCH 7TH, 2008. REGISTRATION FOR INTERNATIONAL POETS WHO CANNOT ATTEND THE EVENT FOR REASONS OF LOCATION. Please include your name, postal address, email address, the text of the poem (use Times New Roman, 12 point). The poem should have 30-lines maximum including stanza breaks (this is for the purpose of printing it on a poster for exhibition at the event). Send this information to nelario@rogers.com BEFORE MARCH 7TH, 2008. Audience members or poets present may read your poem at the event. Colder in Fredericton today at -28ºC than what I thought was a cold -20ºC Red Square in Moscow in 1996 on the BBC News. 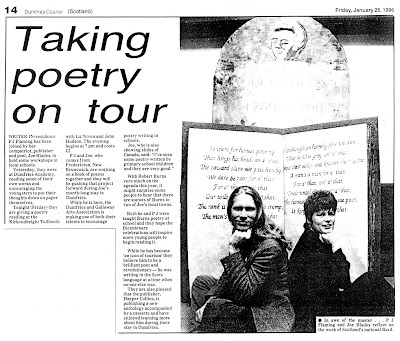 I was in Dumfries, in southwestern Scotland that day, guest of poet Tom Pow at the Dumfries Academy. What a day, what a place, for me to do a poetry reading and talk. Many of the students' questions not about my poetry were about Quebec's relationship with the rest of Canada. They were interested because of Scotland's relationship with its neighbour to the south. One of the newspaper articles covering my month-long stay in Scotland around Burns' Bicentenery. I loved the three-part candle-lit parade of Burns-inspired bamboo & rice paper lanterns that converged on the town square for the lighting of the far-larger-than-live profile of Scotland's National Bard. Today, I do my part to continue the tribute. I'm making haggis straight up (unlike last year's haggis eggroll and samosa adventure) and I'll be joining my fellow tarmac bums in the Blacktop Motorcycle Gang for a party and "reading raid" @ Robbie Burns' statue on the Green. shirt: The Globe Inn, "Burn's howff"
sound: Sleepy Driver "Ring the Black Bell"
Today has been an unexpectedly Serbian day. Tomorrow is different but today, 14 months since I was last there, was Serbian from before I reached the bathroom. The telephone rang: "You have a phone call from Serbia," a man's voice said, then Jelena was on the line. She'd been sent home by her, or the JTI, doctor because she has a "virus". First time I've heard her voice since mid November 2006 when I departed the Senta bus station for Novi Sad and the shuttle to the airport in Budapest. A most unexpected call after no letters and rare email. Photo here is from her "publisher's representative" Dec 2005 trip to Fredericton. Turns out there's no internet at home in the temporary apartment between the house sold (part of the one-time servant's quarters where her grandparents had lived in that Austro-Hungarian house/compound) and the house bought last year (still under renovations). At her workplace, her email is monitored and often blocked from outsiders (like me). Leaves, for now, phone and transatlantic phone is pricy. House reno expensive too. Her per parents won't move there from Novi Beograd, so it'll be just her and Lara (much taller, now) bouncing around in "enough space to play football," as Jelena put it. Says work is still too much . . . the Japanese bosses crazier than that American company she left. Said she'd checked the Belgrade Book Fair 2007 information and didn't find me. I was't there, and don't know when I might next get to Srbija. Have to see what happens in my life . 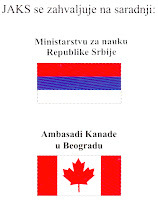 . .
At the post office, my "A" or "E" card was for a package from Serbia . . . a book not even in an envelope, simply wrapped with a " . . . TOGETHER Beginner - Elementary Level January 1999" activity calendar sheet/page pub'd by Addison Wesley Longman. 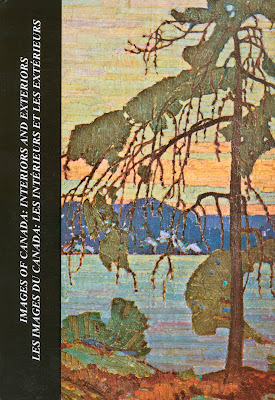 Images of Canada: Interiors and Exteriors / Les images du Canada : Les intérieurs at les extérieurs is the published proceedings from the 2nd International Conference, Yugoslav Association for Canadian Studies (YACS) at University of Niš, Niš, Serbia, in October 2005. I was a guest artist there, alongside Fraser Sutherland and Nancy Burke, to launch Rečna svita (River Suite) in Slike iz kanade: Tri kanadska pesnika (Images of Canada: Three Canadian Poets) by Frejzer Saterlend, Nensi Berk and Džo Blejdz. 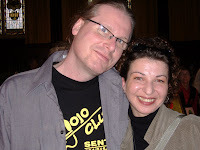 Aleksandar Blagojević and Vesna Lopičić, translators. Introduction by Vesna Lopičić. Niš, Serbia & Montenegro: Studentski kulturni centar Niš. Alongside several other Canadian writers in attendance, I presented a more personal than academic paper, “In the Shadow of Poets’ Corner”, that is published in the Images of Canada: Interiors and Exteriors conference anthology. What next? I don't have a clue. With a lottery win, I'd hazard a wild guess, but bankrupt Joe isn't paying dream tax [isn't buying tickets] these days. Somehow have to live and love. Do my best, rather than just get by. With a new poetry book on the horizon, I can send that to my Serbian publishers to see if they might be interested in translating and publishing it there. Plus there's the other stuff I've been writing. If I can find it an English-language home then I know who I'd want to approach in Serbia to publish there. Maybe even get to the next YACS /JAKS conference in 2009 . . ? sound: Lou Reed "Walk on the Wild Side"
You're travelling when you're supposed to be back at work. You meet someone who nearly makes you forget about going home. You run into a long-lost cousin who hasn't been totally upfront about what he's doing. You've jigged your German language class and taken off to the tourist attractions. You've left the Italian Masterpieces tour to meet someone at a café down the road. You've missed your train again. You get lost in the eyes looking out at you from the portrait and forget an appointment . . . Sometimes this kind of mistake can turn your life around. How has art or travel led you to mischief or miracles? Care to share? At this workshop, Jo-Anne Elder will give you some tips about writing flash fiction, very very short stories, based on your photos, on postcard pictures or on the work in the Writing Home exhibition. You're welcome to bring your own family photos or postcards, and we'll have lots of other artwork to look at as well. To register for the workshop, call or email the gallery at 454-1433 or email connex@nbnet.nb.ca. Thanks to the support of the Canada Council for the Arts, there is no charge for this program. For ages 14 and up, no writing or travel experience necessary, but we hope you'll learn a bit about travelling lighter. Jo-Anne Elder is the author of Postcards from Ex-Lovers (Broken Jaw Press) and a translator of Acadien and other francophone writers. Featured readers: Faye Heavyshield, Bonnie Devine, Nela Rio and Joe Blades. 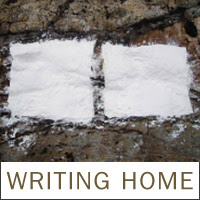 Jo-Anne Elder will also read then emcee a literary Open Mic on the exhibition theme of "Writing Home" from 2 to 3pm. Workshop participants are welcome to read their postcard stories. All poets, writers, and interested folk are encouraged to attend and do a reading. Free admission. Another slippy night in Fredericton. I started the show with "side two" of my recording of the Multilingual Reading of the Side by Side Festival of Literary Translation / Côte à Côte festival de traduction littéraire 2007 featuring various artists/poets/readers including Jean Babineau, Euge Dietrich, Jesse Ferguson, Nela Rio, Hugh Thomas, Whitefeather & son Eliah (photo below). After reading a mess of press releases, emails, and PSAs on various upcoming Fredericton art things including the Writing Home exhibition opening 1 Feb (79 pm) at Gallery Connexion and its Postcard Fiction writing workshop to be led by Jo-Anne Elder on 2 Feb followed by a reading w/ Open Mic . . . after all that I read the Robert Burns poem "To A Mouse, On Turning Her Up In Her Nest With The Plough, November, 1785" for his birthday anniversay this coming Friday, 25 January. 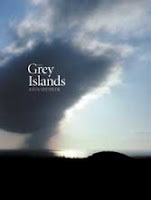 Last quarter of the show was a feature from The Grey Islands (Rattling Books) by John Steffler (listening time: roughly 2 1/2 hours. ISBN 978-0-9737586-0-3). Narrated by John Steffler and (in order of appearance) Frank Holden, Janis Spence, Deidre Gillard-Rowlings and Darryl Hopkins. Soundscape recordings made on islands off the coast of the island of Newfoundland. Originally published in print form 1985 by McClelland and Stewart. Now published in print form by Brick Books. "Canadian poetry at its damn finest," I say. "What a book! I've loved it since I first hear John read from it, and I still love it." "Installation No. 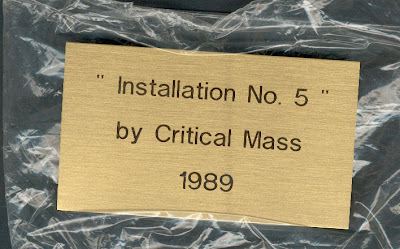 5" (detail), by Critical Mass (1989). Photo composite by Joe Blades. 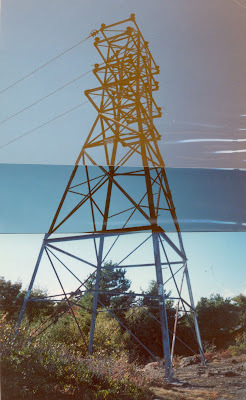 A found public art sculpture in Halifax, NS, consisting of three electrical transmission towers and connecting wires no longer on the grid. Located above the Armdale Rotary near the start of the St. Margaret's Bay Road. Claimed, labeled, and documented by Critical Mass in 1999. Critical Mass was a collaborative art due consisting of Andrew (A.J.) Perry and Joe Blades, in some circles better known for the small installation piece "Alta Baggage" and/or their performances at the BS Hotel, and in-and-around Banff, Alta. in the early '80s, and in Halifax including at the Seahorse in the mid to late '80s. 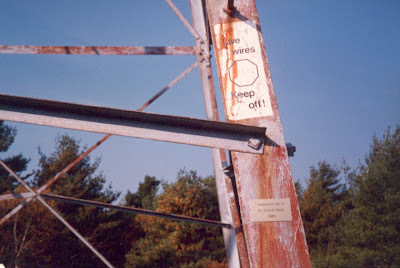 A close-up "detail" photograph showing an installed plaque on one of the transmission towers. Scan of a (spare plaque) found with the photo documentation unearthed for an artist-received inquiry into public art pieces. The query from a sutudent assistant to a not-named professor somewhere . . . The Fredericton Chapter of the Breaking the Silence (BTS) Maritime-Guatemala Solidarity Network will host Noche Latina, an annual fundraiser, on Friday, February 1st. This lively annual event will be in support of a scholarship fund for indigenous students in Rabinal, Guatemala. Recipients are all students of New Hope Institute, a bilingual (Spanish and Achi) and bicultural school, operated by the New Hope Foundation, for children of families affected by the genocide during the early 1980s. Each year Breaking the Silence commits to raising $10 000 –- a five year commitment of $50 000 -- to fund the tuition for 40 students. The Fredericton Chapter has been a key participant in this campaign and Noche Latina is an integral fundraising event. It is expected that this year will be as successful as ever and we hope that Frederictonians will get to share in this wonderful effort. Come join BTS and friends in a celebration of Central American culture and food. Admission includes the chance to sample typical Guatemalan cuisine, along with an evening of Latin dance performance and the music of Cesar Morales. All proceeds from admissions and a silent auction will go towards the scholarship fund. 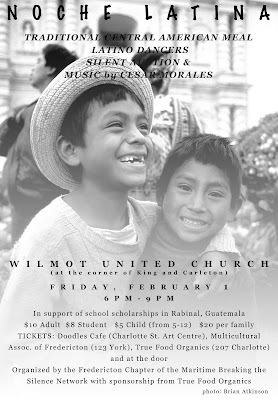 Noche Latina will take place at Wilmot United Church (corner of King St. and Carleton St.) on Friday, February 1st. Doors will open at 5:30 pm and food service will begin at 6:00. Tickets are available for sale at Doodles Café (inside the Charlotte Street Arts Centre), Multicultural Association of Fredericton (123 York St.), True Foods Organics (207 Charlotte St.), and at the door. Ticket prices are as follows: Adults - $10, Students - $8, Children - $5 (ages 5- 12), Family - $20. For more information about the Breaking the Silence Maritime-Guatemala Solidarity Network please visit: www.tatacentre.ca. Tonight's APB was far reaching in scope. I started with the recorded readings by Joan Kjaer and David Hamilton of five poems from the anthology Poems from Guantánamo: The Detainees Speak (University of Iowa Press, 2007), edited by Marc Falkoff. Poems by Jumah al Dossari and other detainees. ISBN 978-1-58729-606-2. Next were three Koluskap Stories from the Wolastoqiyik, narrated in Wolastoqiyik: "Izignapogos, The Half-Stone Man" told by Gwen Bear; "Koluskap and His Brother, Malsum" told by Roseanne Clark; "Koluskap and the Giant Beaver" told by Gwen Bear. Following that I played "Talking Tourism" by Nova Scotia-based blues-storyteller Morgan Davis and the first two tracks—"The Gift" and "The Essence of Sweet Music"—off J. Nichole Noël's 2005 CD Verse . . . The Power of the Spoken Word in Music (The Write Words Production & Publishing). 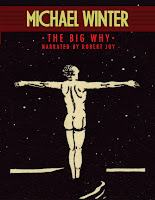 The second half of the show was the opening of Michael Winter's 2004 novel The Big Why about American painter and adventurer Rockwell Kent, unabridged MP3 CD audiobook edition published by Rattling Books (2007), as narrated by Robert Joy. 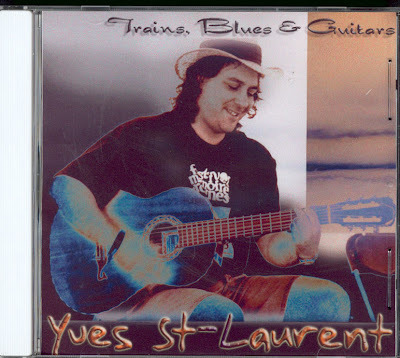 My guest on the 8 Jan 2008 episode of Ashes, Paper & Beans was performing songwriter Yves St-Laurent, originally from Fredericton but currently living in Montreal, in the "fishbowl" with his guitar. The show started with "So Far" and ended with "Not So Very Far" off his demo CD Trains, Blues & Guitars. The rest of the show was an interview interspersed with live performances of his "Song About Memphis", "Here Comes My Girl", and "The Underwear Song". Yves St-Laurent can be found on Facebook and MySpace both. The memorial celebration will be in two parts: a formal program with speakers and music from 7:30 to 8:30 pm, followed by an informal reception from 8:30 to 10:00 pm. A representative selection of Charlotte’s art and craft work will be on display. The organizers respectfully request that all persons attending be seated by 7:30 pm. —nasty piece of work there! who found god or . . .
who committed this crime against? Preproduction poster, using a location scout photo of mine from last autumn, for a short film to be shot near Grand Lake next weekend. From scouting I was moved into becoming Associate Producer. So many details to be collected and threads to be tied off. It's been a steep learning curve for most all of us. Steeper for some depending on what filmmaking experience they already have and what training or transferable skills they have in their kit. 1935 Pusan, Korea: 26 years into the Japanese occupation. In a small village, Min, a young Korean man, is confronted by Japanese soldiers who have occupied his village and country. Story opens with a scene of him covered in blood inside a small church. We are introduced to Sunja, a young village girl. Sunja is bodily forced to bow before an image of the Japanese emperor. All the villagers risk being executed. In the face of oppression, Min looks to the role model of his friend and finds strength in prayer. 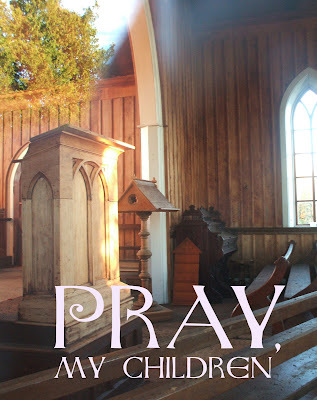 Pray, My Children is one part of a larger story that follows the trials and fate of Min and young Sunja. 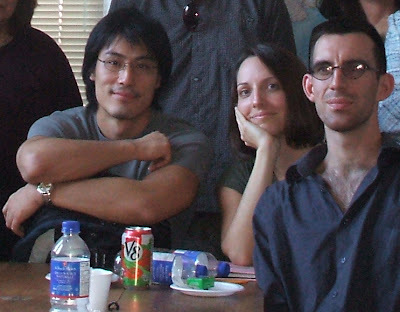 Writer–Director Gyu Kang, 1st AD Corena Walby, Producer Jon Driscoll . . . in one of the New Brunswick Filmmakers’ Cooperative workshops last year that all four of us attended. Writer–Director Gyu Kang is a film student at the University of New Brunswick and he is also in the New Brunswick Film & Television Certificate program. Producer Jonathon Driscoll is a student in the New Brunswick Film & Television Certificate program and an active supporter of various NB Film Co-op projects. Associate Producer Joe Blades is an artist-writer who has authored five books, edited another ten, and has been involved in film and video production since 1986. You can visit or join the film's Facebook group at www.facebook.com/group.php?gid=19808231888. John Heinstein, Biff Mitchell, and Samson of founding ex-BlackTopper Old Skullmade it through the triplet of locked doors challenge to appear on the first Ashes, Paper & Beans of 2008. Even I got caught between the tricky locked double doors of the SUB main entrance and had to phone campus security repeatedly to get them to come and clear my way. Show started with Hugh Hazelton's "Emergency" from the CD-livre La vache enragée (Planète rebelle, 1998). John and I read several poems each. 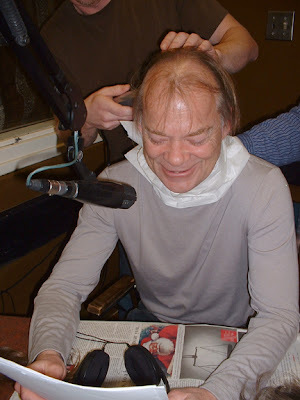 On air, Biff lost his hairhead hair, not body or ear or nose hair, not even his eyebrowswhile reading his "One-Eyed Jezebel" prose poem-story. John, rather than the absent WhiteFeatherworn out from cleaning her French Revolution birthday+New Year's eve party remnants in Studio4wardwielded the scissors and electric razor. 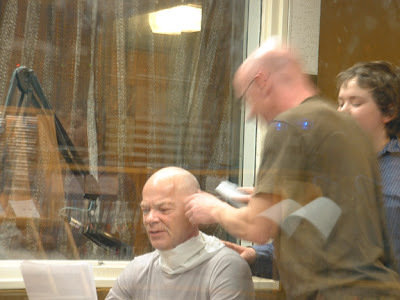 He's not heard of live haircuts or head shaving on radio before so we may have committed a first . . .
Sam took photos with Biff's camera. I took photos with the old Fuji 2600Zoom digital camera my parents watched bounce out of the back of a pick-up truck in the Wentworth Valley. When he wasn't removing Biff's hair, john took pics with his cellphone. Biff also took pics before and after his extreme haircut reading. > > live on-air from 7 to 8 pm?